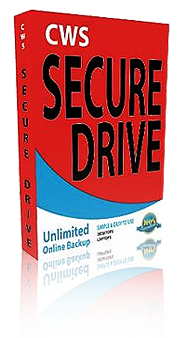 One of the most basic and yet critical components of any information system is the backup system. Amazingly enough, so many ignore the backup process, tools and notifications for their systems. Ever consider the cost of recreating all of your information? For most, the cost is extravagant and time consuming. A simple task such as having a second set of eyes monitor your backup solutions could save you literally hundreds or even thousands of dollars. PLANS OFFERED: CWSC Backup+ for PC's & Laptops, CWSC Premium+ for Tablets & Smart Phones and Enterprise+ for Business Servers & Workstations. 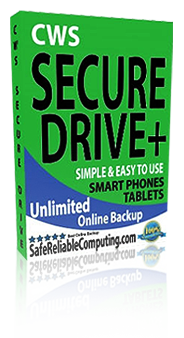 Backup+ - Backup your computer online - automatically backs up your whole computer, regardless of how much space you use!